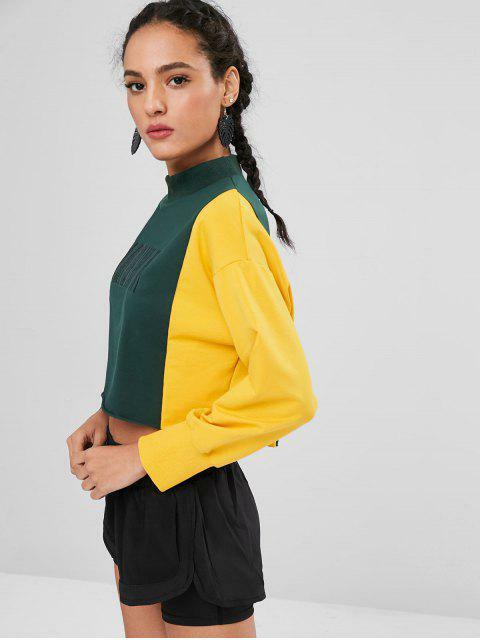 [50% OFF] 2019 ZAFUL Embroidered Two Tone Sweatshirt In DEEP GREEN | ZAFUL .. Fits perfectly. I'm 5"7 and wear UK size 10. Perfect for wearing with black high waist shorts as shown in the picture. The material is stretchy, not exactly what I expected, but doesn't change my opinion on it! 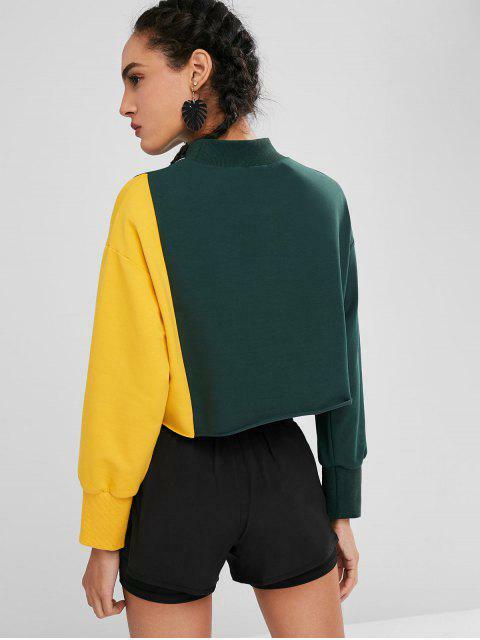 An elevated and modern take on a classic streetwear sweatshirt style, this pullover sweatshirt is designed with an asymmetrical two-tone design for a hint of contrast. 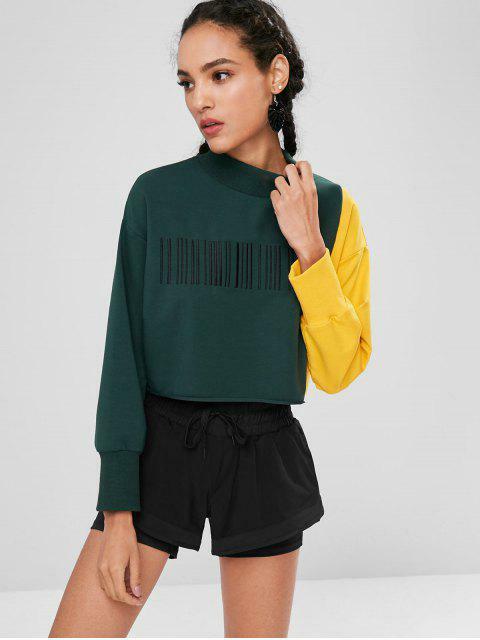 Textured in the vertical embroidered design on the front, it is the classic cropped style that is perfect for throwing on with your favorite high-rise jeans and booties. A raw-edged hem gives it a lived-in worn look.